A hiker ascends the Cathedral Trail on the flanks of Katahdin. Chimney Pond is out of sight and below to the right. Thinking about your summer outdoor adventures? If you’re interested in spending the night at one of New England’s most iconic destinations, now is the time to make reservations. Here’s what you need to know. Home to mile-high Katahdin and its airy Knife Edge—New England’s only true mountain arête—Baxter State Park is tops on my list of life-list New England destinations. A range of camping opportunities are available in the park, but the most exceptional (and exceptionally popular) is found at Chimney Pond. Nestled adjacent to its namesake pond, below the soaring flanks of Katahdin, this backcountry campground features nine lean-tos and a 10-person bunkhouse, and makes a fabulously scenic base camp for tackling Katahdin itself. Camping reservations at Baxter State Park operate on a four-month rolling schedule; you can start making reservations four months in advance of your camping start date. So, for example, you can start making reservation for August 15 starting April 15 (hint, hint). Unlike the park’s drive-in campgrounds, which can be reserved online, Chimney Pond and other backcountry campsites can only be reserved by phone (207-723-5140), in person, or by mail. The park office opens at 8 a.m. each morning. As of April 14, Chimney Pond still had decent weekday availability through August 14, though Fridays and Saturdays were all but completely booked. As the weeks progress, expect less and less availability until your opportunity for a 2014 visit fades into dreams (and longer-term planning!) for 2015. 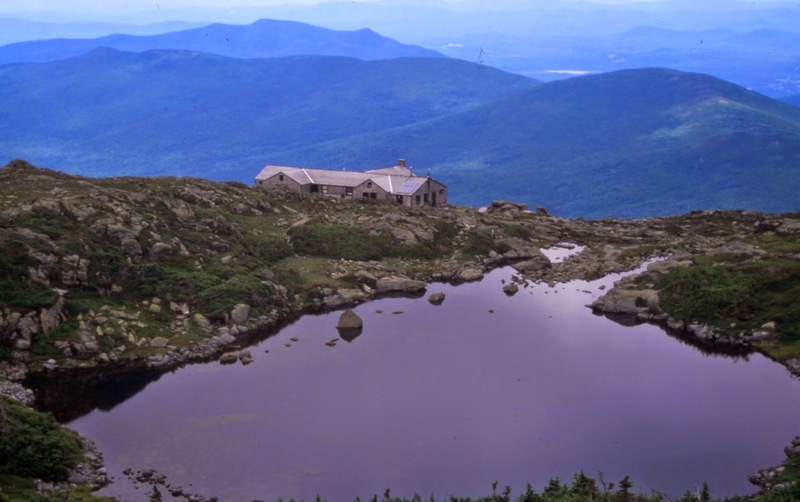 Perched nearly a mile high on the alpine ridge of the Presidential Range in New Hampshire’s White Mountains, Lakes of the Clouds Hut is the most popular of AMC’s eight high mountain huts. With the summit cone of Mount Washington looming a mile away to the north, a vast network of hiking trails radiating in nearly every direction, and head-spinning views nearly everywhere you look, it’s a backcountry lodging destination unlike any other in New England (and I’ve seen a lot of them). Plus it provides welcoming indoor shelter from the often fickle and/or ferocious weather that can descend on the ridge. But—no surprise—a lot of people want to stay there. If your only availability this summer is on weekends, I regret to inform that you are out of luck—Saturday nights are already completely booked at this point. If, however, you have some weekday flexibility, you still have some good options—and I encourage you to make reservations sooner than later. (This is especially true if you are interested in visiting in July and August, which are filling up fast.) You can make reservations online or by calling 603-466-2727 (Mon. – Sat., 9 a.m.-5 p.m.).